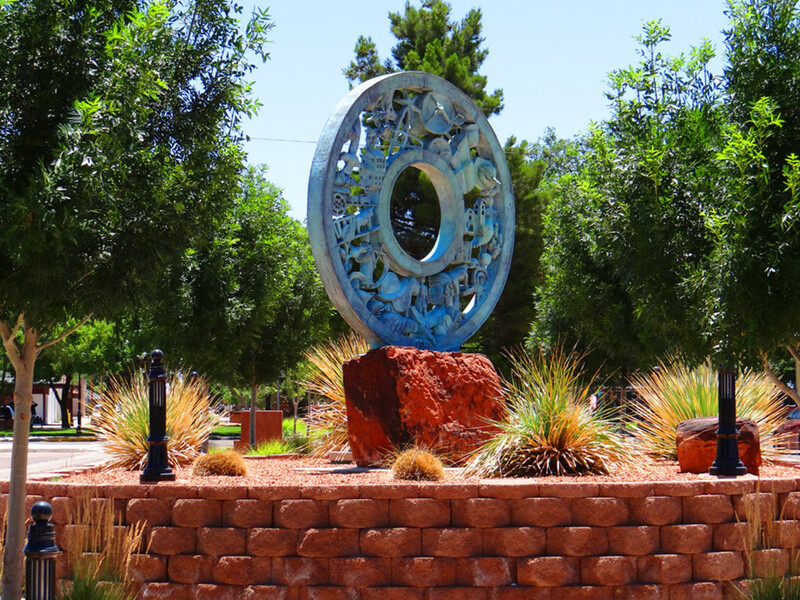 Flanking the Plaza in Socorro’s historic district, the beautiful Elfego Baca Heritage Park is a great spot to learn about local history as it has several monuments relaying stories of Socorro, as well as a beautiful art history wheel. 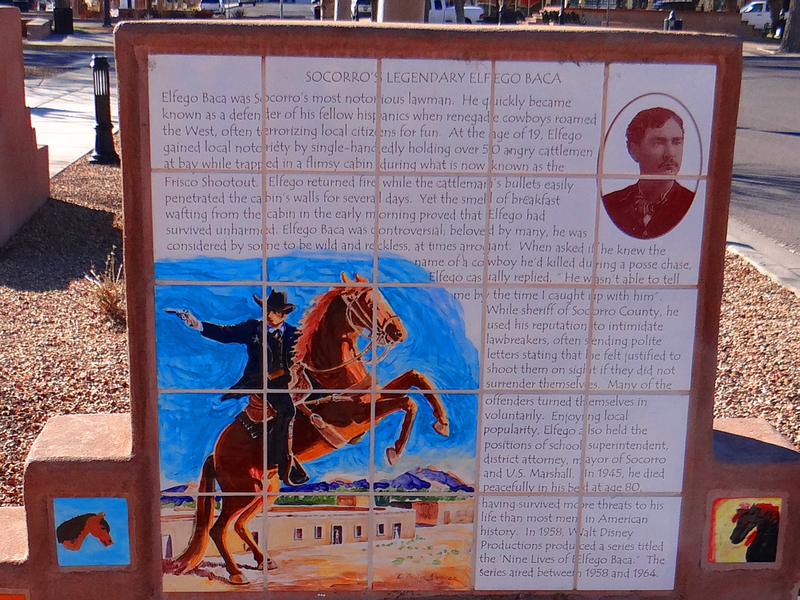 The park is named after Elfego Baca, one of Socorro’s more colorful wild west characters. 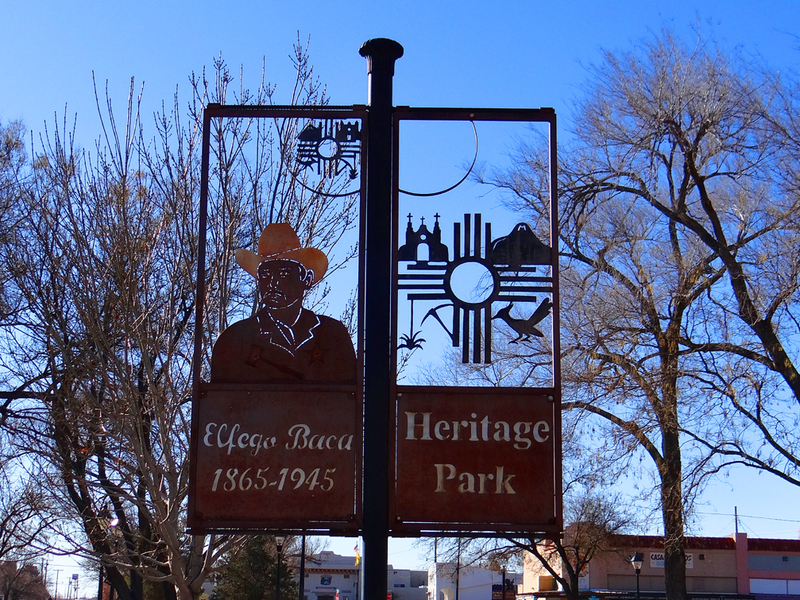 Visit ELFEGO BACA to find out more about the life of Elfego Baca and watch Walt Disney Series “Elfego Baca: The Nine Lives of Elfego Baca”.